MASC which stands for "Masculine", consisting of members Woosoo, Heejae, Ireah and Moonbong will be coming to Malaysia this December for MASC Bling Promo Tour in Malaysia 2018. The group will be visiting Miri, Sarawak on 22 & 23rd December then will be heading to Kota Kinabalu, Sabah during Christmas. Let's get to know more about MASC before we get into details of their promotion in Malaysia. Q: Tell us more about MASC. 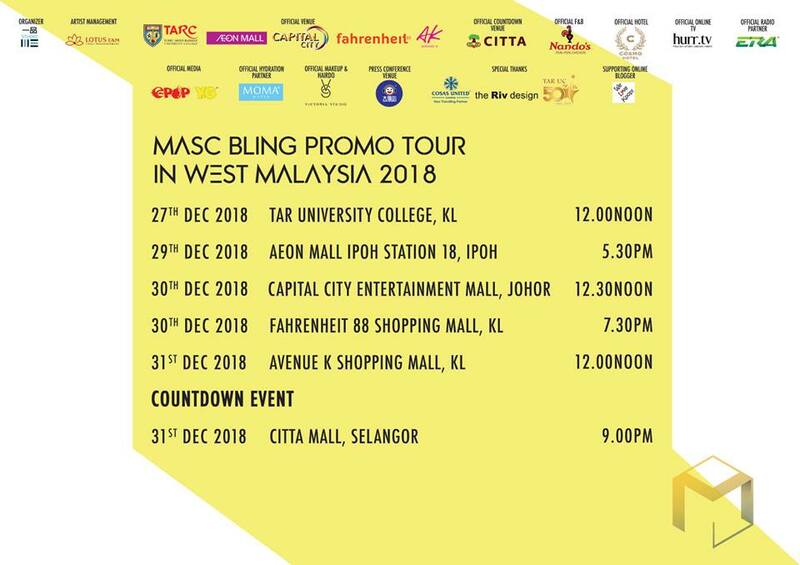 Introduce to those who have yet to know MASC. MASC: We, MASC is a group which formed by 4 members, so far we still couldn’t completely show everyone about our ability and musicality. We are able to digest different music genres such as Hip Hop, Ballad, Dance, and turned all these genres into MASC’s color. By combining each member's colours, we are able to bring a huge synergy effect to the audiences. Q: Is this your first visit to Malaysia? What are you looking forward to do here? 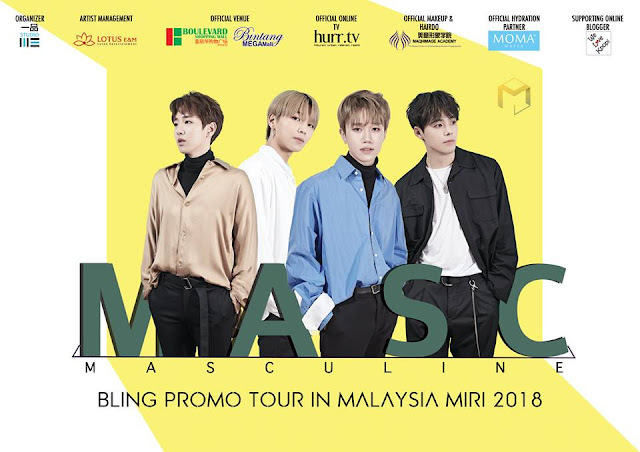 MASC: This is our first time visiting Malaysia, what we want do most is to meeting MaBling and sing them our songs. If there's time, we would like to explore the beauty of Malaysia and visit some tourist spots. Q: Any special performances prepared for this promo tour? Could you share us a little about it? MASC: We have prepared some performances which MaBling have not seen before. Please stay tuned to our performances as it's a secret. 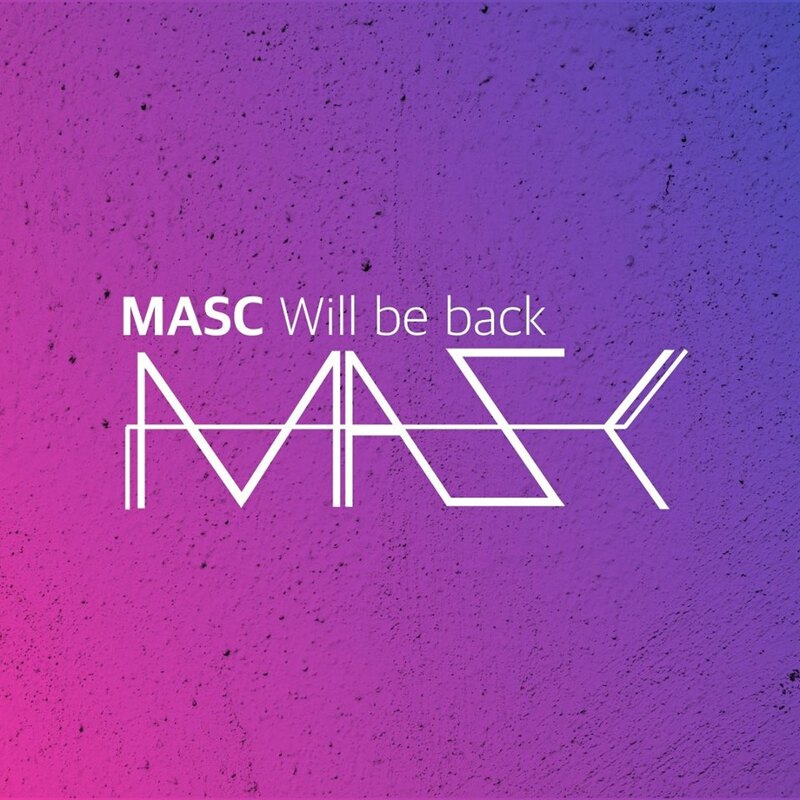 Q: It's been a while since MASC released "Do It" Single in 2017, any plan for new single or new album in 2019? MASC: This is a question which lots of people are curious about. 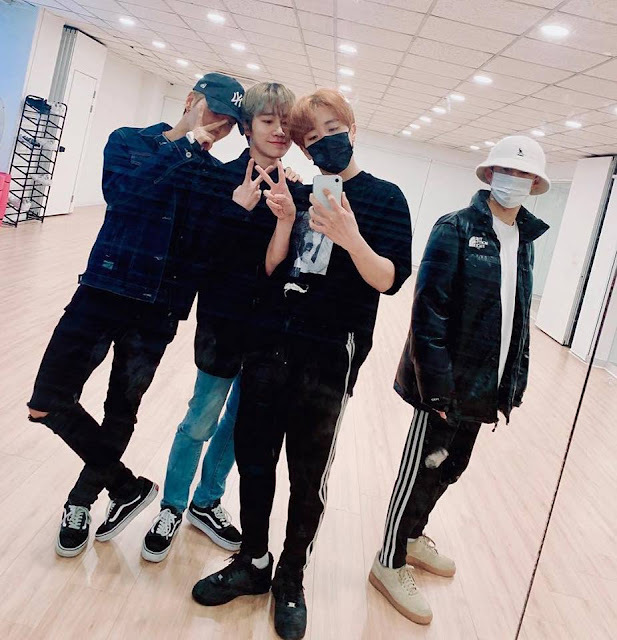 We will be having a comeback in 2019 with better songs and performances. Q: We heard Woosoo and Ireah are good in music composing, what inspired you to compose the songs and any music genre that you would like to give it a try? Woosoo: I receive inspiration through my daily life. Sometimes I receive inspiration while talking with the members or either walking on the street. When I have no inspiration, I will watch a lot of movies. For genre that I want to try… I will not limit to any genre. I want to show my own music and voice through various genres. Ireah: I receive inspiration through movies, books and good music as well. I will always bring a pen and a notebook with me to jot down any good keywords happened in my daily life. I like exciting music, but personally I want to show music that is soft and emotional that able to express human daily life. Q: Woosoo and Heejae has featured in drama “The Miracle”, any plan to start acting? Woosoo & Heejae: We always have the desire and dream towards acting, if there’s chance, we would definitely challenge it and present a good acting. Q: We know MASC has been through member changes, share us your thought about the changes happen within these 2 years. MASC: We had a tough time thinking and worrying a lot, but we were able to make it thanks to MaBling who have been supporting us. Since we’ve been through it, we are thankful and appreciate the connection between each member now. Q: How do MASC maintain a good relationship with one another? Which member helps to maintain/build team harmony? MASC: We are trying hard in order to maintain team harmony. We will not speak frankly about our own opinion, and I think the secret in maintaining a good relationship is to listen to everyone’s opinion. Q: What are MASC hidden charms or individual charms that you think will stand out among all? MASC: We show our charisma image when on stage, but actually we are energetic and quite cute behind the stage. Surprisingly, the cutest member among the member is Woosoo. Moonbong is the member who danced well in girl group’s dances and good in makeup as well. He has many skills. 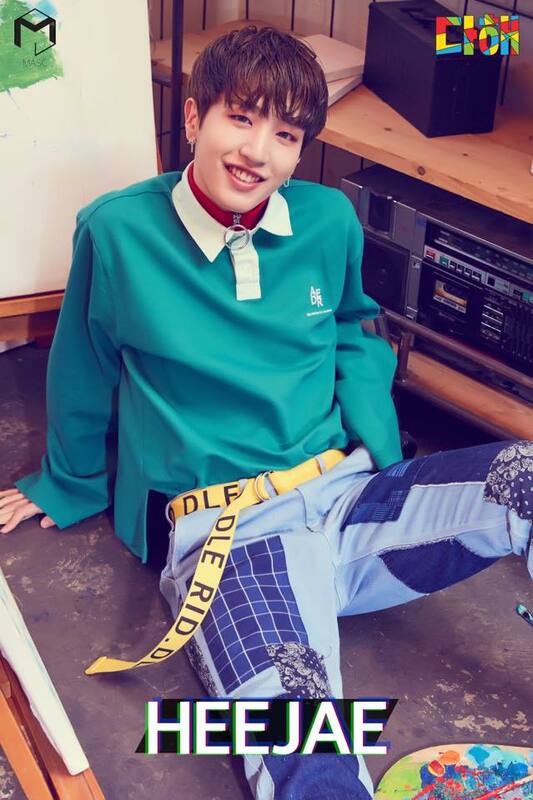 Ireah, is the most serious member, but he is clumsy, his charm is his clumsiness. 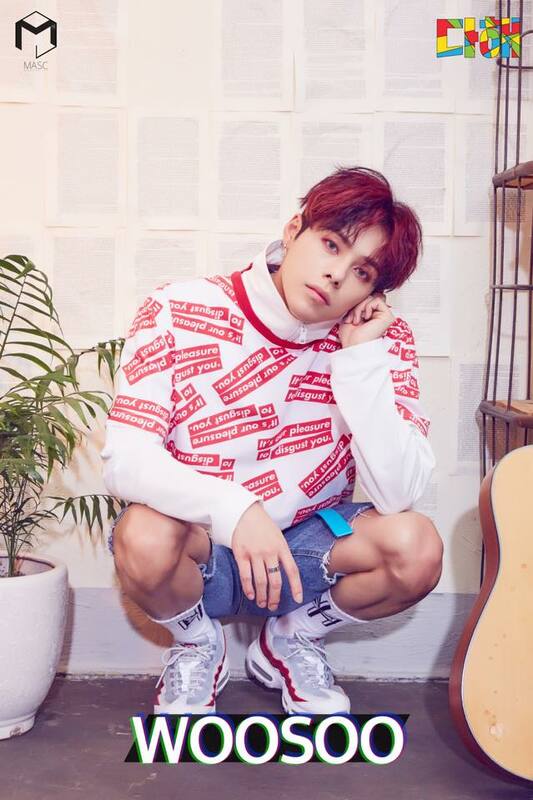 Heejae is the most talkative and bright, but he’s the most serious among the member when he’s on the stage or during the interview. Q: What can we expect MASC in 2019? MASC: The biggest plan in 2019 is our comeback. We will bring better songs to meet up with MaBling, and we will be active for activities in Korea and having overseas tour as well. We would like to spend a quality time with MaBling from Japan, Europe, Brazil, and other countries. For more information about the promo tour, check out YiPin Studio Facebook Page. MASC debuted as a four-member boy group (Woosoo, 26, ACE and Heejee) in 2016 with their debut mini album "Strange". 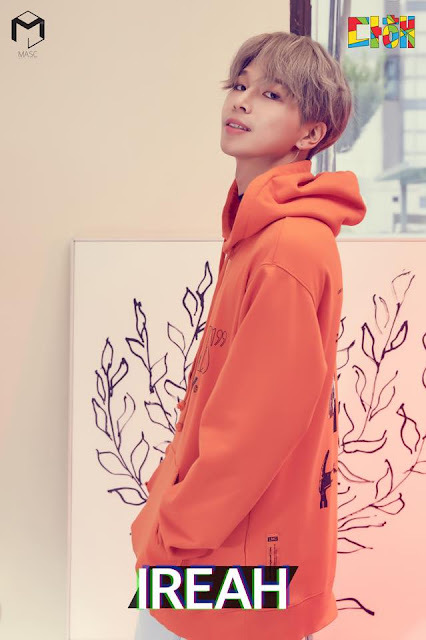 In 2017, additional 4 members - Ireah, Chibin, Moonbong and Doeun joined the group and MASC made a comeback as a 8-member group and released single album "Do It". 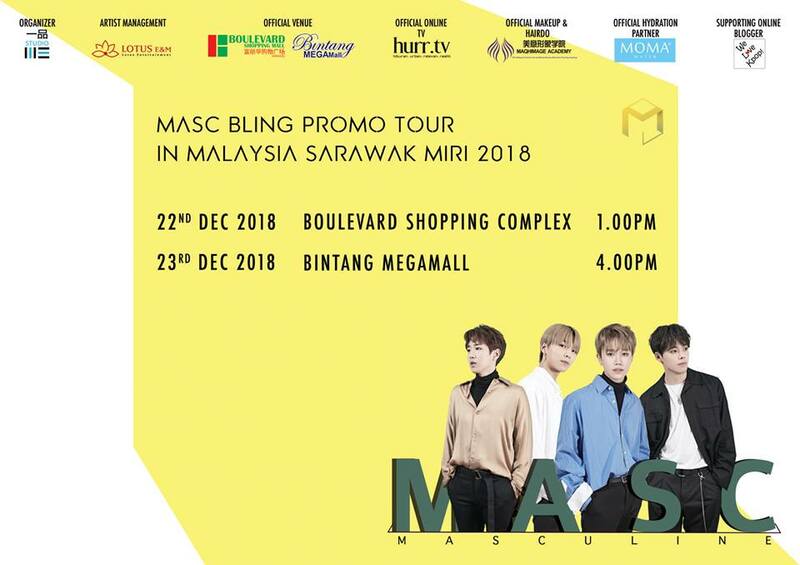 In 2018, Chibin, Doeun, A.C.E and 26 announced their departure and currently, MASC is set to comeback as a group of 4 (Woosoo, Heejae, Ireah and Moonbong) with new album and will also be holding overseas tour starting with Southeast Asia which Malaysia is including in one of their stops.